Check out the cost of living in France before moving there! If you intend to retire to France using a QROPS as a means of providing income, be sure to consider the cost of living in France compared to the UK. This article contains a brief comparison of expenses in the two countries. France is a wonderful retirement destination, with it’s blend of culture, history, excellent food and picturesque landscape. The French experience should not ‘break the bank’, so to speak. In fact living in France for British people can actually be quite affordable, particularly if you have been used to the high prices of London. 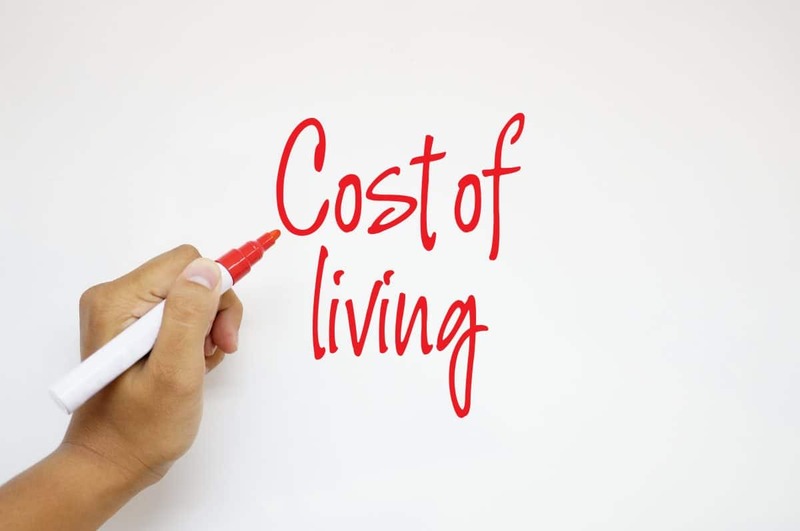 If you do not plan to live in Paris or a similar French metropolitan city, you can expect to experience a cost of living anywhere between 10-20% less expensive than the above figures. Local transportation is also much more affordable in France. Train and bus fares can be as much as 50% less expensive than in the UK. Petrol prices are currently 11% cheaper, although you may experience higher gas prices in rural areas. While cheap rental property is an attractive proposition, many retired expatriates tend not to move to France in order to rent an apartment. If you plan to buy a home in France, you will find that mortgage interest rates are on average 3.0%, whereas rates in the UK average around 3.5%. French property can be either very affordable or very expensive, particularly if you are located near Paris. You should note that French Council’s impose a levy on homeowners called the “taxe foncière”; the amount that you are obliged to pay will depend on the region you reside in, the size of your home and the type of property that you purchase. You can expect to pay higher amounts for internet and telephone services in France; this is more than offset by the lower costs charged for other utilities. The average bundle of services such as electricity, water, heating and garbage collection for an 85m² apartment in France can be 30% cheaper than in the UK. France is a vivacious country, offering many opportunities for both relaxation and festivities. There is an abundance of good restaurants, cinemas, concerts and museums at your disposal. On the whole, the price for the majority of these activities is roughly equivalent to similar offerings in the UK. Be sure to read our overview with regards the benefits of QROPS for British expats wishing to retire abroad.